Everyone loves a good dose of festive indulgence; there are no two ways about it! Dussehra, Vijaya Dashami or Dashain, call it by any name, but this festival is the perfect excuse to celebrate your fondness for festivity, tradition, and cultural extravaganza. 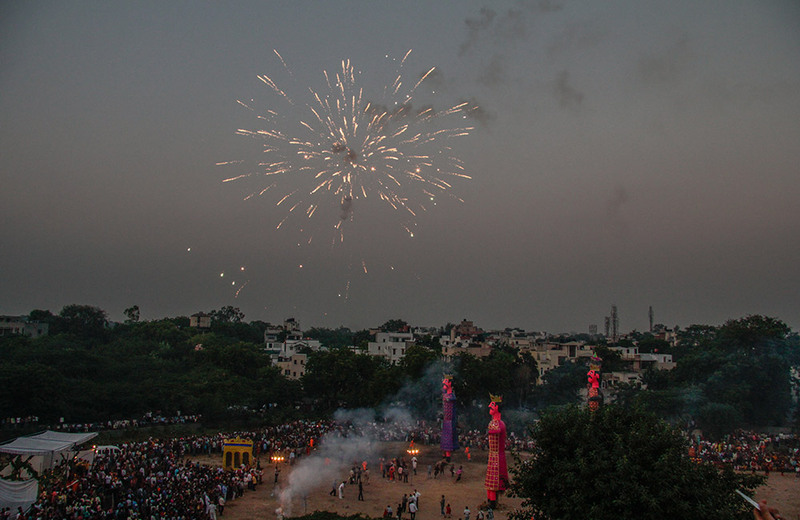 From decorations and fireworks to food and fiesta, Dussehra is all these and so much more! It’s one festival that is celebrated across the country in a grand manner, albeit in surprisingly different ways. Read on to know how different regions across India indulge in Dussehra festivities. Dussehra 2019: What Is It? 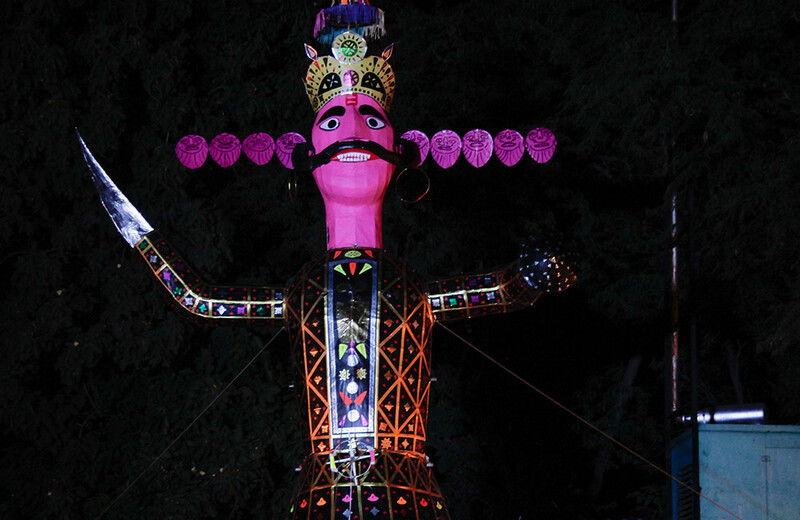 Like most festivals in India, Dussehra too traces its roots to Hindu epics and mythology. In some of the eastern, north-eastern, and southern states of the country, the festival is celebrated as Vijaya Dashami. It commemorates the day when Goddess Durga defeated and slayed the mighty buffalo demon Mahishasura in an intense battle that lasted for nine days and ended on the tenth day. As such, it also marks the culmination of the Navratri and Durga Puja festivals. In some other regions, however, the festival is observed as Dussehra, Dashahara or Dasara. It marks the day when Lord Rama killed Ravana, the ten-headed demon king of Lanka who had kidnapped Rama’s wife Sita. This day also indicates the end of Ram Leela celebrations. What remains common in these sagas related to the festival is the prevalence of good over evil. This underlines the essence of Dussehra. According to the Hindu calendar, Dussehra falls on the tenth day in the month of Ashvin. As per the Gregorian calendar, the date usually falls between the months of September and October. In the year 2019, the festival is celebrated on 08th October even though the festivities associated with it start before a week or more. Processions: In some parts of the country where Vijaya Dashami is observed, people take out large processions and carry the idols of Durga, Lakshmi, Saraswati, Ganesh, and Kartik to a river or large water body for immersion. Such processions are marked by music, singing, dancing, and a mood of merriment. Ram Leela: Elsewhere, people take part in Ram Leelas, which are dance dramas depicting the epic of Ramayana. In these musicals, people including children dress up as characters from Ramayana and enact the scenes. These plays continue for nine days prior to the final act of killing Ravana on the Dussehra day. Ravan Dahan: In some other places, the main attraction of Dussehra is Ravan Dahan. It involves the burning of towering effigies of Ravana along with those of his brother Kumbhakaran and son Meghnad. The burning of effigies symbolizes – oh, that’s a no-brainer – the destruction of evil. Besides these, people also burst crackers and feast with their family and friends. Colorful fairs and exhibitions are put up at many places that add to the frenzied atmosphere of the festival. Cities and towns wear a new look, feel, and vibe during festivals, ever noticed that? The festival of Dussehra is no different. If you wish to experience the festival and places in diverse flavors, here are the top places in India where you can do so. For most people down the South, Dussehra means just one thing – Mysore Dasara or Mysuru Dasara. The festival here is all about regal traditions and royal grandeur. The tradition of celebrating Dasara in Mysore dates back to the 15th century when the place was under the reign of the Vijayanagara Empire. Even today, the ten-day long festival of Dasara is celebrated on a grand scale in this city. The highlight of the festival is the lighting up of the Mysore Palace with no less than 100,000 (yeah, that’s a good one lakh!) light bulbs on all the ten days of the festivities. A number of religious and cultural programs are performed in front of the decked-up palace. Another attraction is the grand procession carried out on the streets of the city on the Vijaya Dashami day. The high point of the procession is the idol of Chamundeshwari that is carried inside a golden mantapa placed on the back of a festooned elephant. Decorated tableaus, music bands, dance groups, bedecked camels, horses, and elephants, all form a part of this incredible procession. All excited to visit the city of Mysore during this festive season? You might want to book your rooms in one of the best hotels in Mysore before they all put up the “No Rooms’ board! Come Dussehra and our national capital adorns a new look. You can find hundreds of platforms springing up in all corners of the city that serve as stages for the Ram Leela enactments and plays. One of the most popular places to view Ram Leela musicals in Delhi is the Ramlila Maidan. If the accounts of local people are to be believed, this Ram Leela owes its commencement to the Mughal Emperor Bahadur Shah Zafar, who is said to have started it about 170 years ago. Another highlight of Delhi Dussehra is the burning of huge effigies of Ravana, Kumbhakaran, and Meghnad on the final day of the festival. Watching the burning of sky-high effigies and then relishing Navratri special delicacies in the restaurants is likely to remain etched in your memory forever. In short, the fun in Delhi is non-stop during this festival. So, why wait, book your rooms in one of the budget hotels in Delhi and get ready for some festive indulgence. Vijaya Dashami marks the last day of Durga Puja, the biggest cultural and religious festival in Kolkata. The frenzied air that builds up over the four days of the festivities reaches the crescendo on this final day. 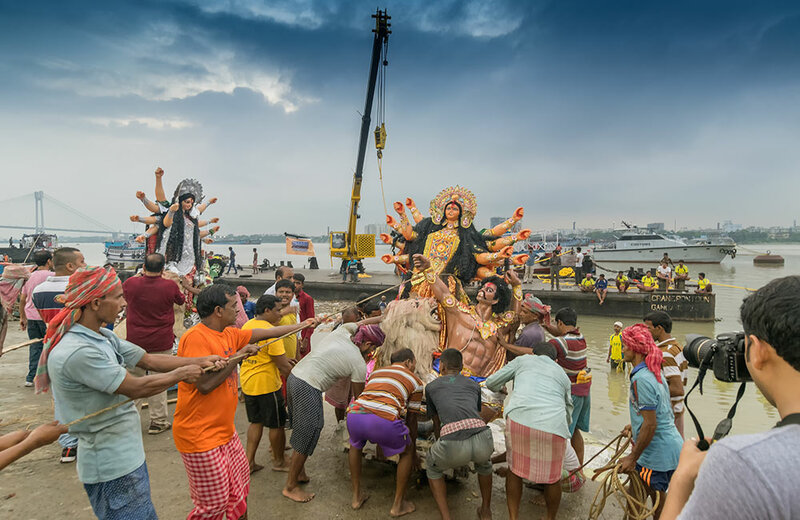 People take to the streets to become part of the processions and accompany the idols of Goddess Durga and her four children to the immersion ghats in the River Hooghly or other waterbodies. Dancing, singing, and music mark the processions that include people of all ages. The beating of large drums, known as dhak, adds to the festive feel. It is a memorable spectacle to witness illuminated trucks carrying Durga idols and each truck being accompanied by a procession of revelers. The scene is a little (or perhaps a lot) chaotic at the ghats where a large crowd accumulates to bid farewell to their beloved goddess. After the immersion of the idols in the water, people greet each other with sweets. To experience this entire fiesta, just check in to a hotel in Kolkata and start exploring the city. With the beginning of the Navratri festival, Varanasi comes alive with a vibrant festive aura. For ten days, the Spiritual Capital of India seems to don a new avatar, which culminates with the celebration of Dussehra. 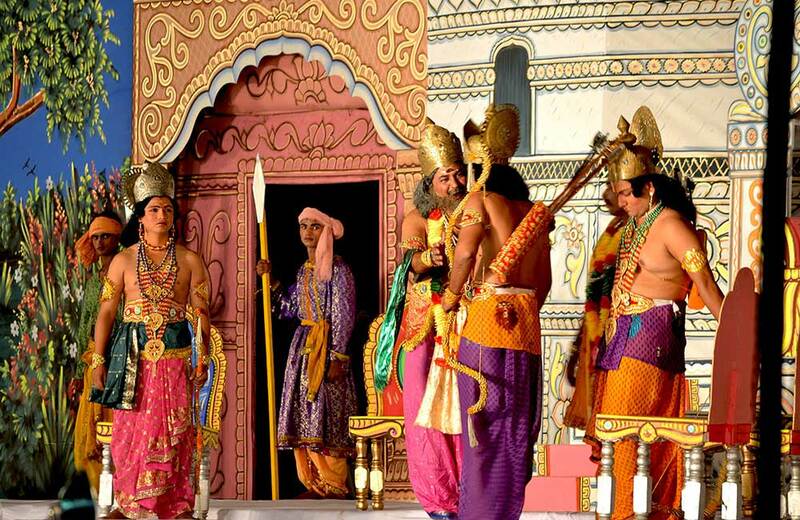 Ram Leela is the prime attraction of Dussehra in this part of the country. In fact, the ancient city of Varanasi is known for the oldest Ram Leela performance in the country that is being held here for around 200 years now. This Ram Leela is staged near the Ramnagar Fort and it has a history that dates back to the 1800s. It is believed to be started by Udit Narayan Singh, the then Maharaja of Benaras. The city hosts various other Ram Leela musicals as well. Several fairs are held at the places where the Ram Leela musicals are conducted. 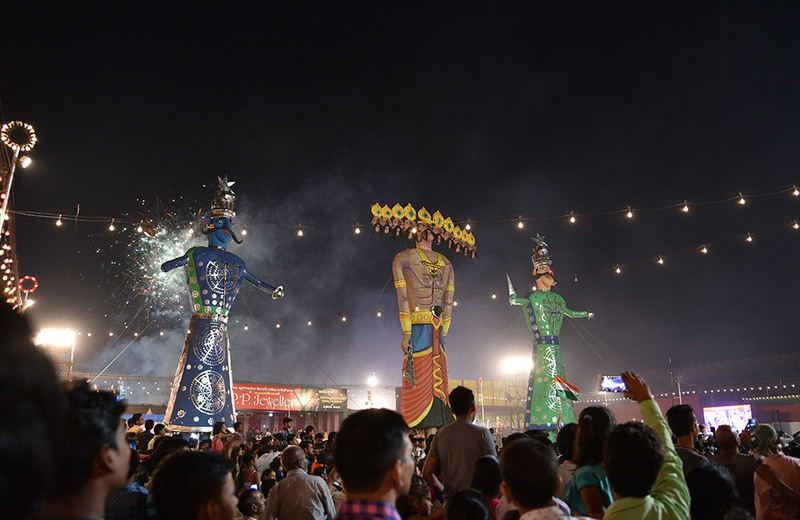 The festive atmosphere heightens on the Dussehra day when a tall effigy of Ravana is burnt in the town’s major square to signify Lord Rama’s victory over Ravana. 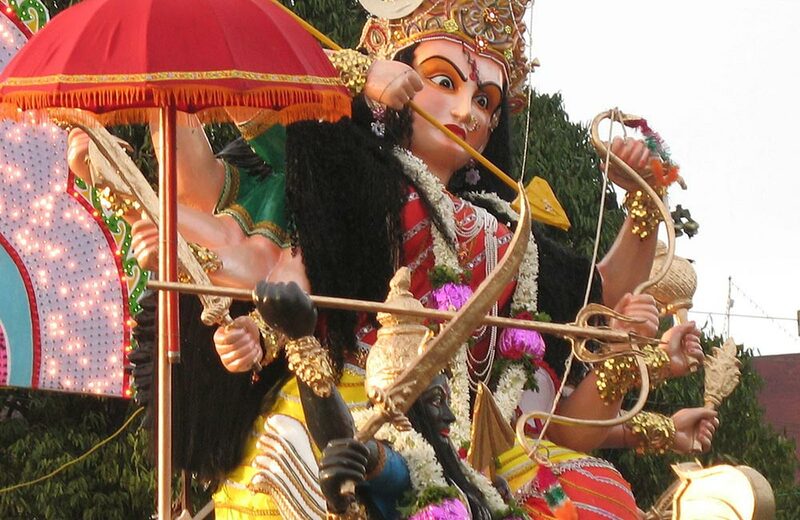 Taking a trip during Dussehra will let you experience the city in all its mythical grandeur. Here are a few hotels in Varanasi that you can consider for your accommodation. Bastar Dussehra is a one-of-its-kind festival, significantly different from the celebrations that take place across the country. 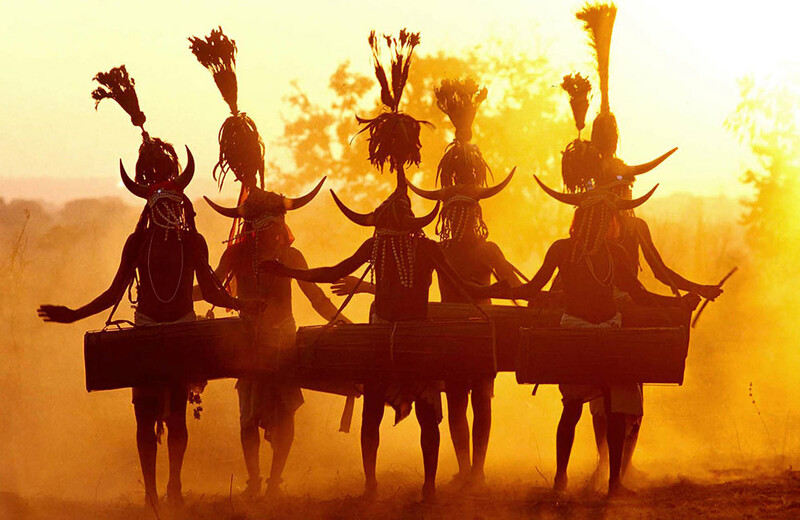 It highlights the distinct cultural trait of the state of Chhattisgarh. The first Dussehra festivities were organized here by Maharaja Purushaottam Deo in the early part of the 15th century. Since then, this festival has become an integral part of the state’s cultural calendar. Dussehra celebration in Bastar is all about spirituality, nature, and worshipping of Devi Danteshwari, the presiding deity of the region. The celebrations span over ten days. Unique rituals like pata jatra (worship of wood), kalash staphna (pot installation), deri gadhai (pillar posting), kachan gaadi (installation of throne for Devi Kachan), muria durbar (meeting of tribal chiefs), nisha jatra (nocturnal festival), and ohadi (farewell to deities) are observed. People dress up brightly in their traditional attires and indulge in dancing to the tune of drums. The massive chariot that is pulled through the streets on this occasion with several deities inside is quite a spectacle and gives you more reasons to visit Bastar this season. Kullu Dussehra is another unique edition of Dussehra. Interestingly, it starts on the day of Vijaya Dashami, which is when the festivities end in other places and extends for seven days. This tradition of celebrating the festival was started by one of the former rulers of the Kullu valley, namely Raja Jagat Singh, way back in the 17th century. Today it is celebrated as the International Mega Dussehra festival that attracts more than 4 to 5 lakh global tourists each year. The highlight of the festival is that more than 200 local deities are carried out in a chariot and palanquin procession. It is believed to be the only festival in India where so many deities are brought together and taken out in a procession. Another interesting fact about the Kullu Dussehra celebration is that there is no burning of effigies symbolizing Ravana’s death. Instead, the local people conclude the festival by observing a ceremony called the Lankadahan, which means the destruction of Lanka by fire. Dry grass, twigs, and leaves are burnt on the banks of Beas River to mark this ceremony. The Dussehra celebration in Madikeri, the central hub in Coorg, is more of a carnival than a religious festival and spans over ten days. With a history of more than a hundred years, it is believed to be the second most famous Dasara festival in the region after the Mysore Dasara. 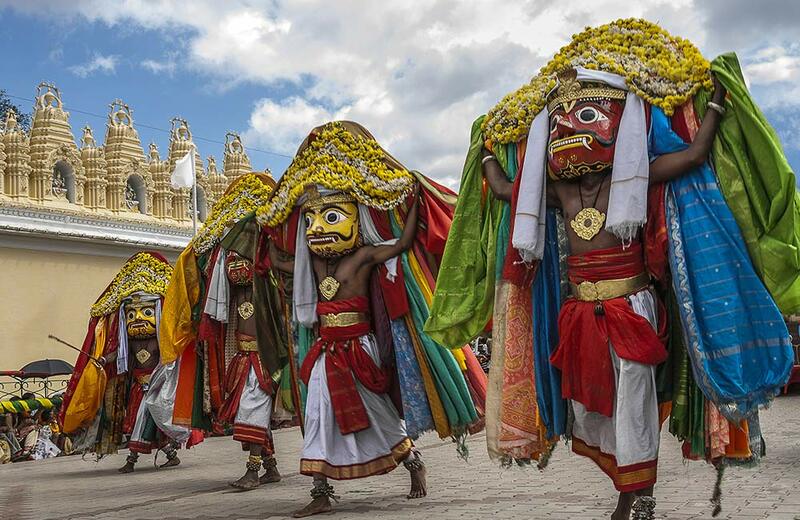 The highlight of the celebrations is the mantapa procession carried out from ten temples. The procession starts on the ninth night of the festival and ends on the tenth morning, i.e., on the day of Vijaya Dashami. It is a sight to behold as the mantapas and idols within them make their way through the procession. Lakhs of people line the streets to watch these amazing mantapas, each of which has a mythological story associated with it. With music, revelry, and feats, it is a grand affair that one needs to witness at least once in their lifetime. Planning to go to Madikeri by road from Bangalore? Check out our comprehensive guide on Bangalore to Coorg road trip. 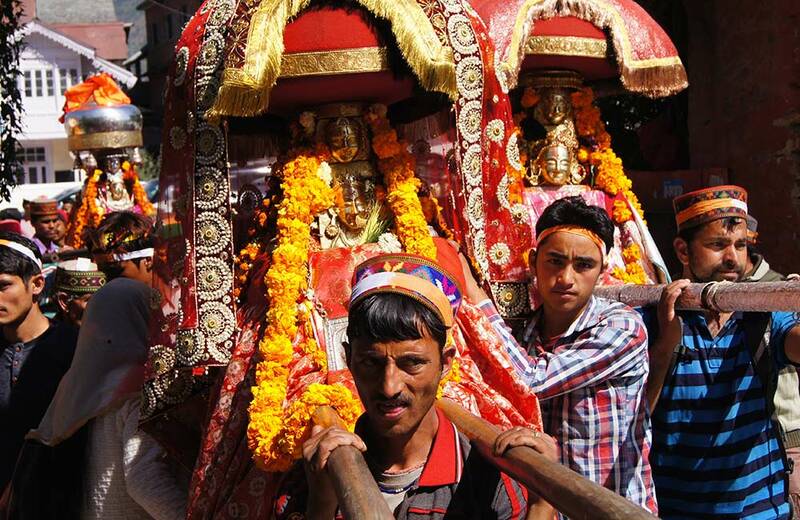 The sleepy town of Barara in Haryana comes alive with a festive fervor during the Dussehra celebrations each year. Barara has already gained entry into the Limca Book of Records for being the place where the world’s tallest Ravana effigy was burnt. Since then, each year the town has been adding a few feet to the demon king’s effigy. 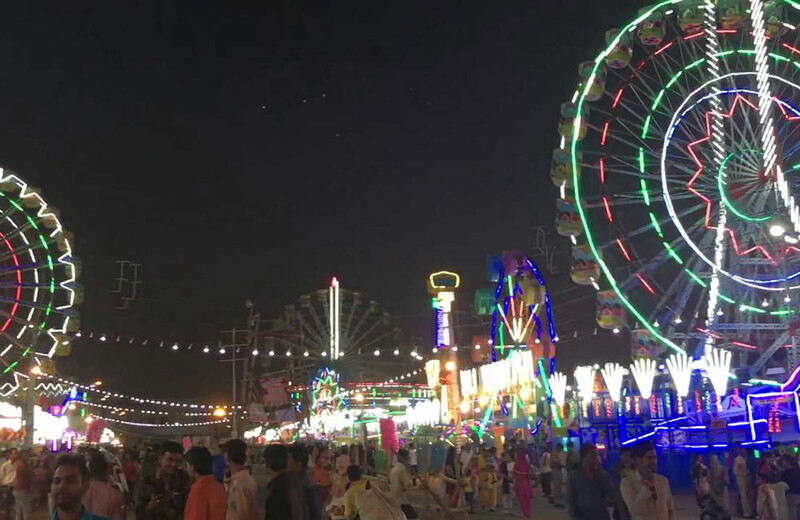 During Dussehra, a large fair is organized in Barara. People dress up for the occasion and enjoy soaking in the festive spirit of the place. 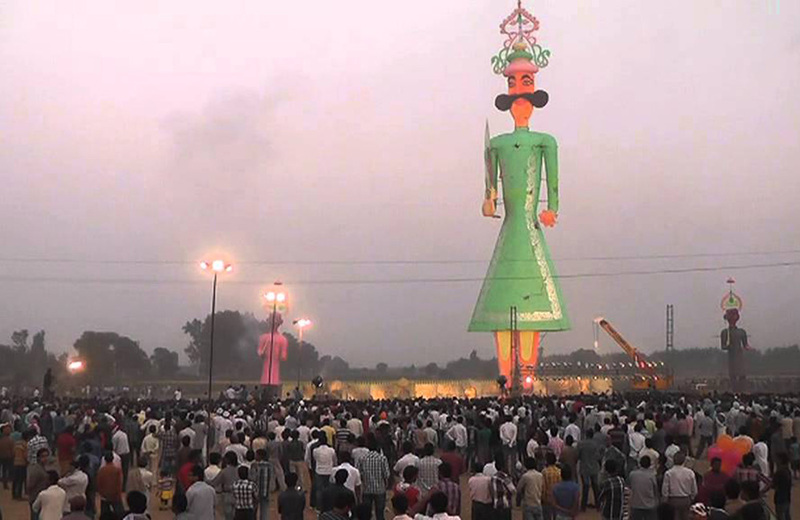 But it is the colossal effigy of Ravana that draws the maximum attention of the young and the old alike. Situated in the state of Rajasthan, Kota celebrates the festival of Dussehra in an enticing manner. The month-long celebration of Dussehra is heightened due to the fun-filled fair or mela that is organized here to observe the festival. It is believed to date back to 1723 AD. Craftsmen and artisans from the nearby areas come to this fair to sell their products. Watching cultural programs and tasting authentic Rajasthani food are among the main attractions of the fair. But the highlight of the Kota Dussehra Mela is the tradition of setting ablaze huge statues of Ravana, Kumbhakaran, and Meghnad to commemorate Lord Rama’s victory over them. The vibrant land of India provides you ample scope to enjoy Dussehra in various flavors. All you need to do is hit the road and reach your destination before the festivities begin. Trust us; it will be worth your time and effort. 2019: This World Tourism Day, Find Out Your Travel Identity!